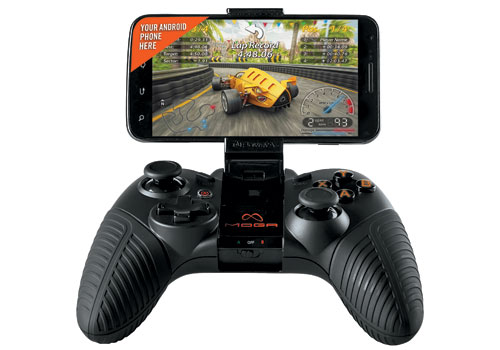 When it comes to gaming on Android, there's nothing quite like adding a game controller to give the experience a more classic feel. There are several options floating around out there to make that happen, like Nyko's PlayPad/PlayPad Pro or the MOGA Pocket. 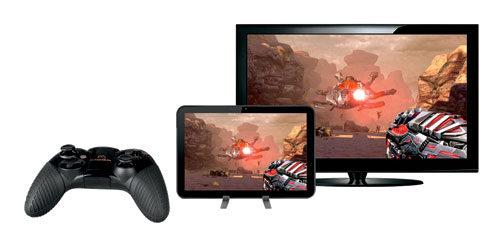 If none of those float your boat, however, MOGA's newest controller – the MOGA Pro – just hit virtual shelves today. Unlike it's highly-portable sibling, the MOGA Pro is more of a "full" game controller, with improved grips, dual shoulder buttons, a standard D-Pad, and raised, clickable joysticks. Also unlike the much smaller Pocket, the Pro features a rechargeable battery, which should save you from having to constantly buy AAA batteries. 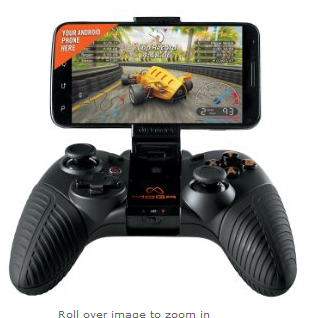 The Pro does share quite a few similarities with the Pocket, however – like the unique "MOGA Arm" that attaches your phone onto the controller. If you're more of a tablet gamer, however, don't sweat it - the Pro also ships with a very small, yet sleek and sturdy tablet stand. One thing to keep in mind before dropping the $50 asking price on MOGA's newest offering is game support. Games have to come out of the box (or Store) with MOGA support enabled, so there's a chance some of your favorites may not be supported. However, you won't have that issue with Modern Combat 4, Dead Trigger, Shadowgun/DeadZone, Gunslugs, Sonic II, SonicCD, and several others, so it's not like the landscape for games that support MOGA is sparse and dry. There are some fantastic titles to choose from – just be aware that it doesn't support all games. The MOGA Pro is available directly from MOGA or Amazon for $50. Hit the link below to buy.